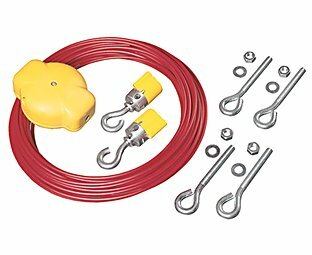 Our Bulletin 445L Guardshield™ POC Type 4 Micro 400 safety light curtains are economical three-box safety light curtains in a small housing. 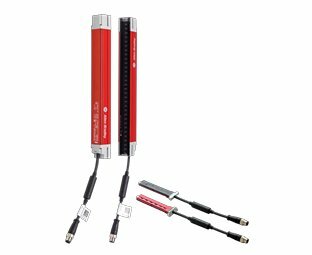 Designed for use in benign industrial environments (IP54), this light-duty system is targeted to the semi-conductor, micro electronic and small assembly machine markets. 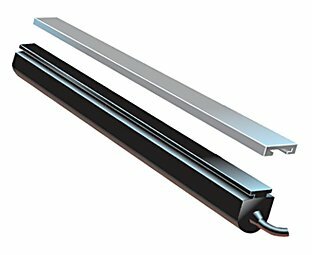 We also offer these light curtains in cascadable configurations and in IP69K enclosures. 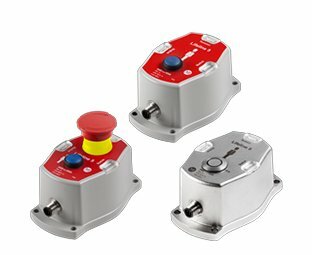 The Micro 400 requires a dedicated controller such as the MSR41 for ON/OFF applications or the MSR42 for advanced safety functionality. 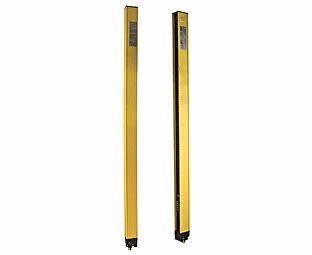 Our Bulletin 445L GuardShield™ POC Type 4 Safe 4 safety light curtains are economical two-box safety light curtains with ON/OFF functionality. 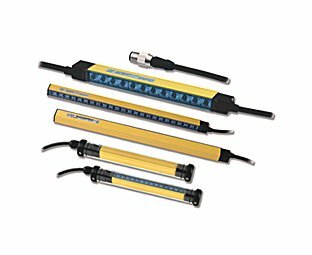 These basic, guard-only operating mode safety light curtains have an integrated laser alignment system to simplify the alignment of each pair of light curtains. 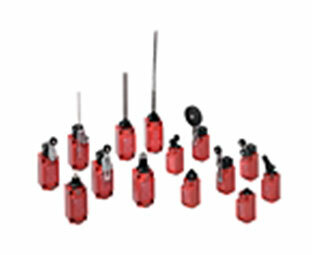 Visible laser beams are activated by touching the laser at the finger symbol on the front face of the light curtains. 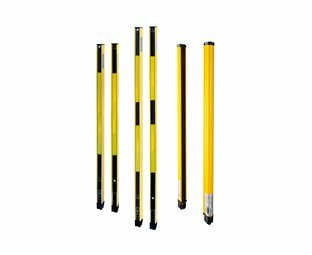 Our Bulletin 440L and 445L Guardshield™ POC Type 2 Low Risk safety light curtains are applied in applications where a formal risk assessment has determined that the hazard poses a low risk of operator injury. 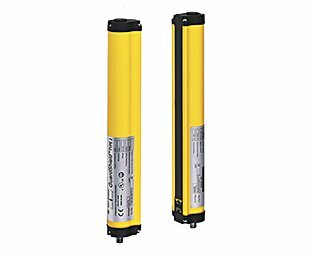 Our Bulletin 440L Type 4 and 445L Safe 4 Guardshield PAC Safety Light Curtains are based on the individual safety light curtain platforms and are used for whole-body detection. 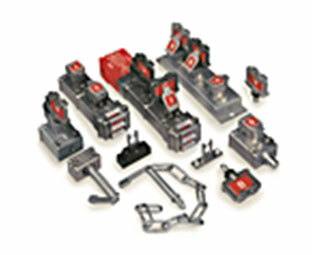 They are typically positioned around an area or in front of a machine process entry or exit areas. 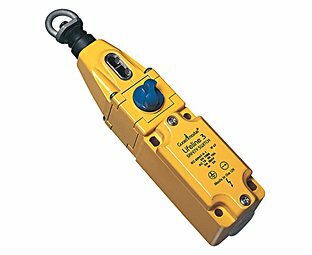 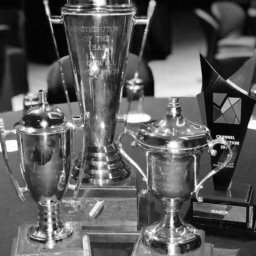 These devices are applied in applications where a formal risk assessment has determined that the hazard poses a moderate to high risk of operator injury. 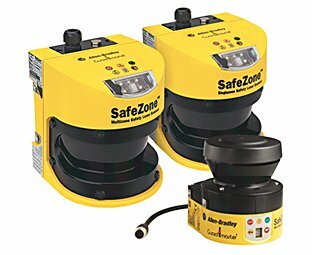 Our SafeZone™ Safety Laser Scanners are compact devices that have switchable, configurable field sets (warning and safety). 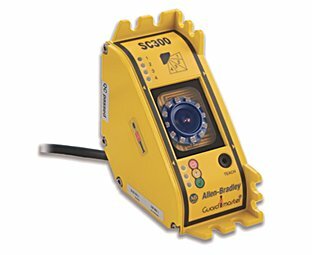 The Safety Configuration and Diagnostic (SCD) Windows®-based software, supplied with each scanner, simplifies the programming of the SafeZone Safety Laser Scanners. 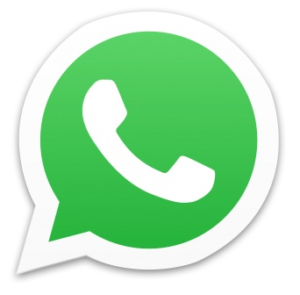 A configuration wizard is available to guide the programmer through simple or complex system configurations. 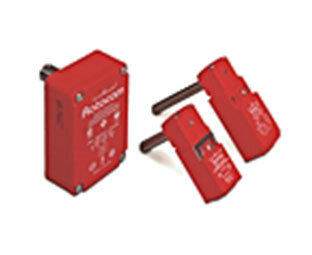 The Guardmaster® 440C-CR30 Software Configurable Safety Relay is flexible, cost-effective, and easy to use. 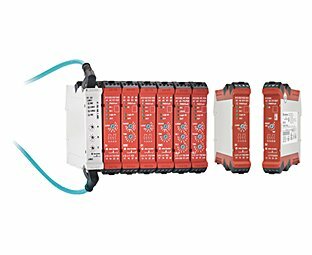 This relay is ideal for applications requiring as many as ten dual-channel safety circuits and controlling as many as five output zones. 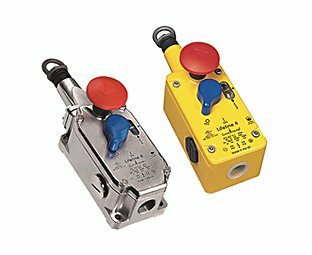 You can configure this relay by selecting certified safety function blocks to rapidly build your applications. 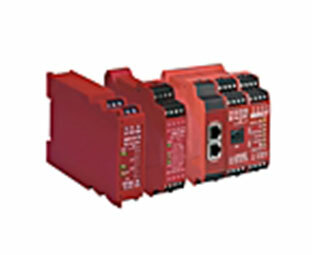 This relay is completely integrated with Allen-Bradley Logix controllers and can be configured using Studio 5000 Logix Designer® software or Connected Components Workbench software. 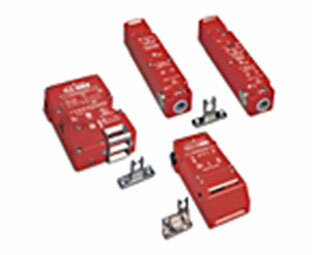 The 440C-CR30 relay can share information with the control system through the optional EtherNet/IP plug in module which increases uptime and enables The Connected Enterprise. 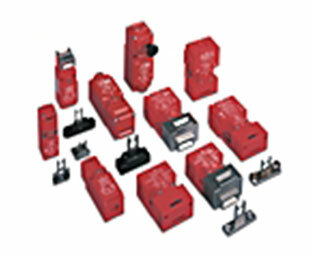 Our Single-function and Specialty Relays are designed to provide basic and advanced safety functions such as time delays and speed monitoring. 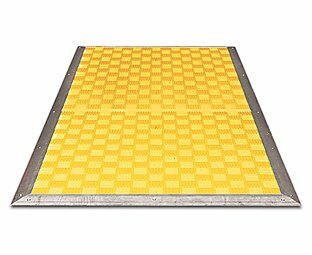 They are also designed to be used in specific applications such as two-hand control, muting, and the control of pressure-sensitive safety mats and edges. 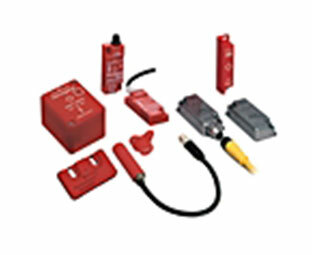 Our Single-function Safety Relays with Delayed Outputs are used in applications where power must be maintained for a fixed duration after an input signal is received. 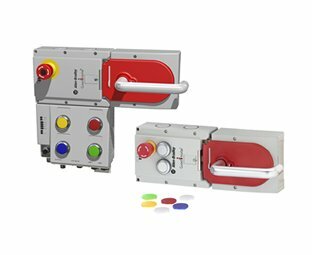 For example, driving a switch to maintain a guard door in the locked position for a fixed duration after a stop button is pressed.